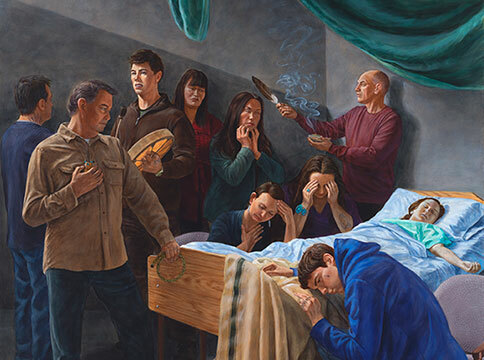 Kent Monkman’s new, large scale project, touring nationally to 2020, takes the viewer on a journey through Canada’s history that starts in the present and takes us back to a hundred and fifty years before Confederation. 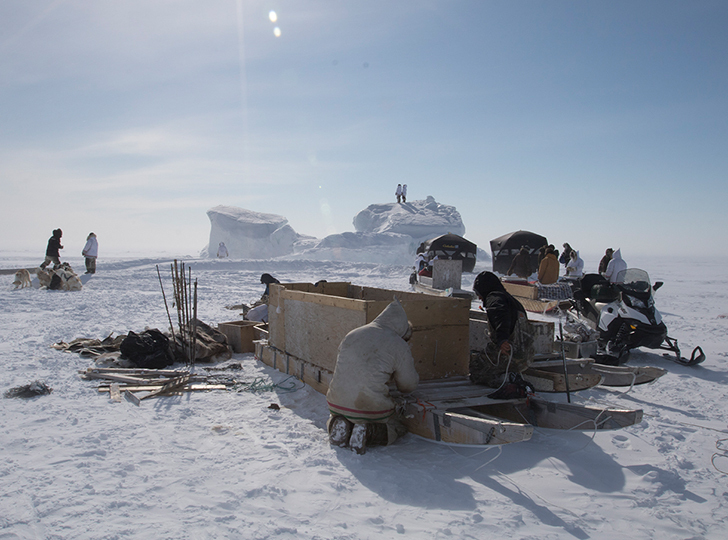 With its entry points in the harsh urban environment of Winnipeg’s north end, and contemporary life on the reserve, the exhibition takes us all the way back to the period of New France and the fur trade. 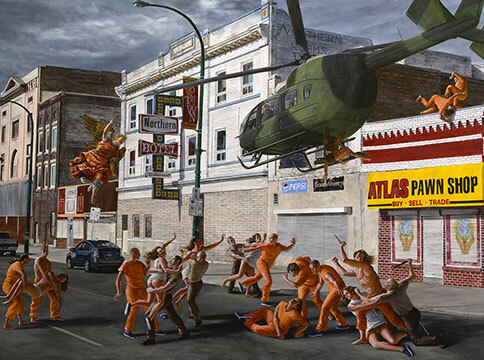 The Rococo masterpiece The Swing by Jean-Honoré Fragonard is reinterpreted as an installation with Monkman’s alter ego, Miss Chief Eagle Testickle, in a beaver trimmed baroque dress, swinging back and forth between the Generals Wolfe and Montcalm. 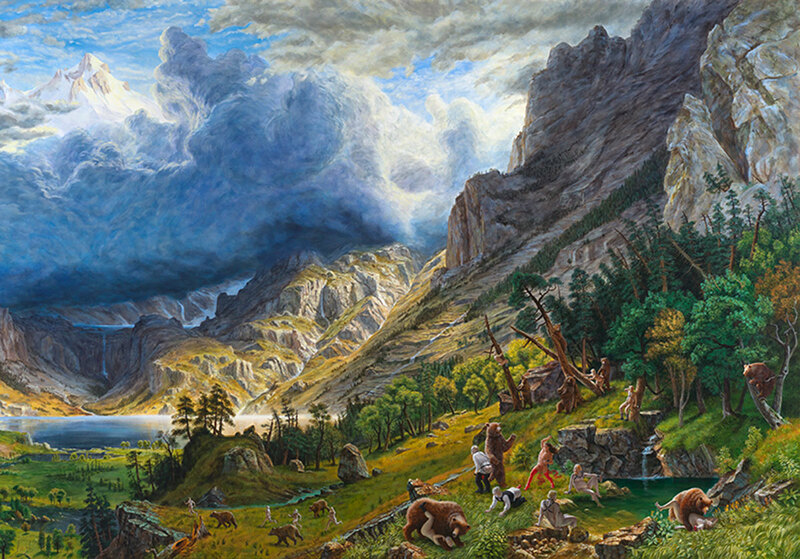 As both artist and curator, Kent Monkman’s first major solo-exhibition at the Art Museum at the University of Toronto includes his own paintings, drawings and sculptural works, in dialogue with historical artefacts and art works borrowed from museum and private collections from across the country. 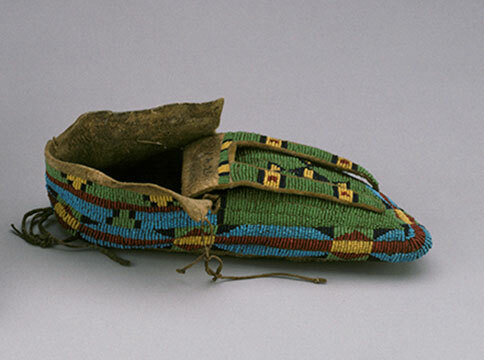 The exhibition narrates a story of Canada through the lens of First Nations’ resilience. The tour starts at the Art Museum at the University of Toronto (15 King’s College Circle) and then departs for Gallery TPW, Blackwood Gallery, and Oakville Galleries. To RSVP: email blackwoodgallery@utoronto.ca or call 905-828-3789 by Friday, February 3 at 5pm. 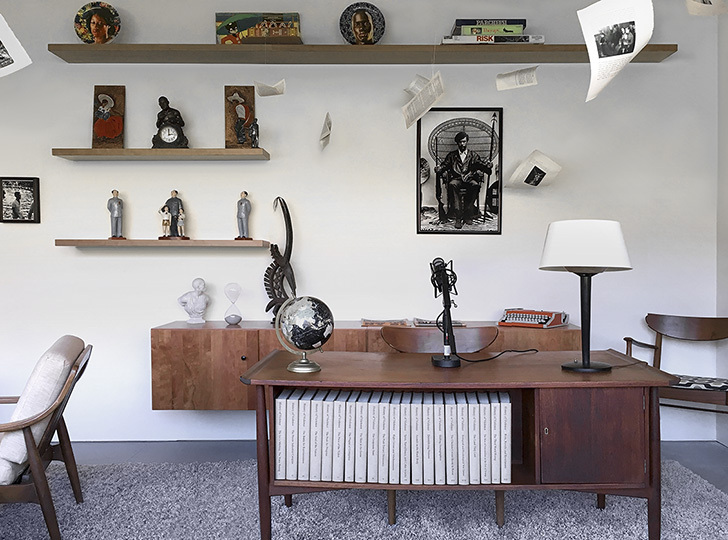 This touring exhibition is produced by the Art Museum at the University of Toronto in partnership with the Confederation Centre Art Gallery, Charlottetown and has been made possible in part by the Government of Canada. Ce projet a été rendu possible en partie grâce au gouvernement du Canada. Lead Sponsor: Donald R. Sobey Family Foundation. 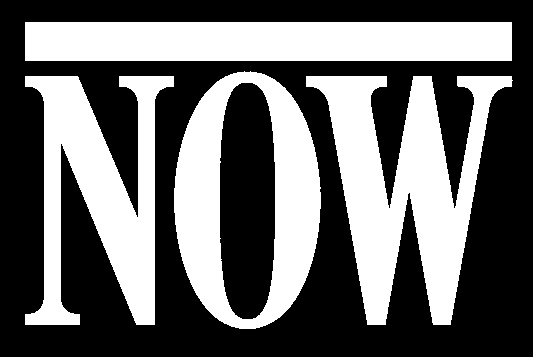 Additional support has been provided by the Ontario Arts Council’s National and International Touring program, the Jackman Humanities Institute, University of Toronto, Manulife, TD Insurance, and MBNA. The Media Sponsor is NOW Magazine.